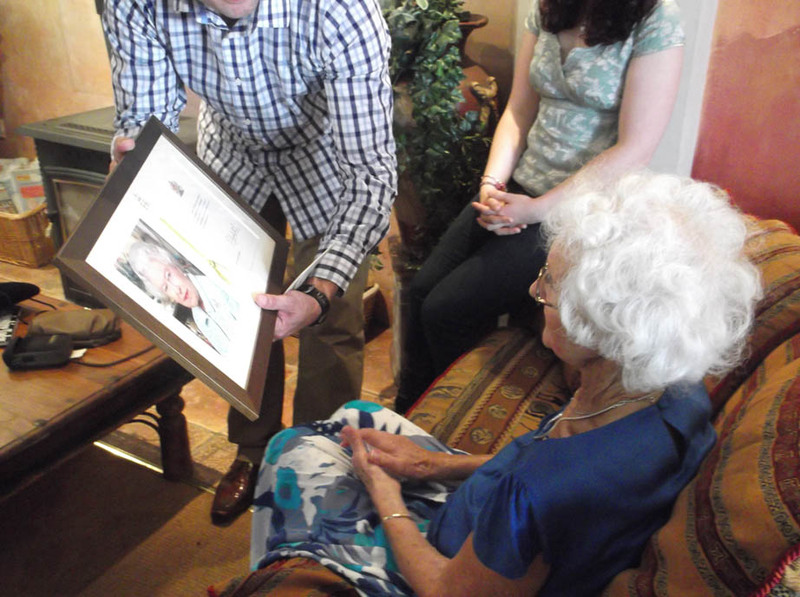 Regular readers may know that my grandmother Evelyn Alice celebrated her 100 th birthday this week so we all gathered for a family celebration last night. My Nana has not been very well and had travelled over from Spain to be here but was determined to make her party to see everyone and get her telegram from the Queen. Here she is at the start of the party and my cousin Neil (along with Ellie in the background) presenting her with the framed telegram. Apologies that the pic of the actual telegram is not good but you get the gist of it. My Mum and Aunt had organised a little display of family pictures and mementos so I just thought I would share some of these with you. 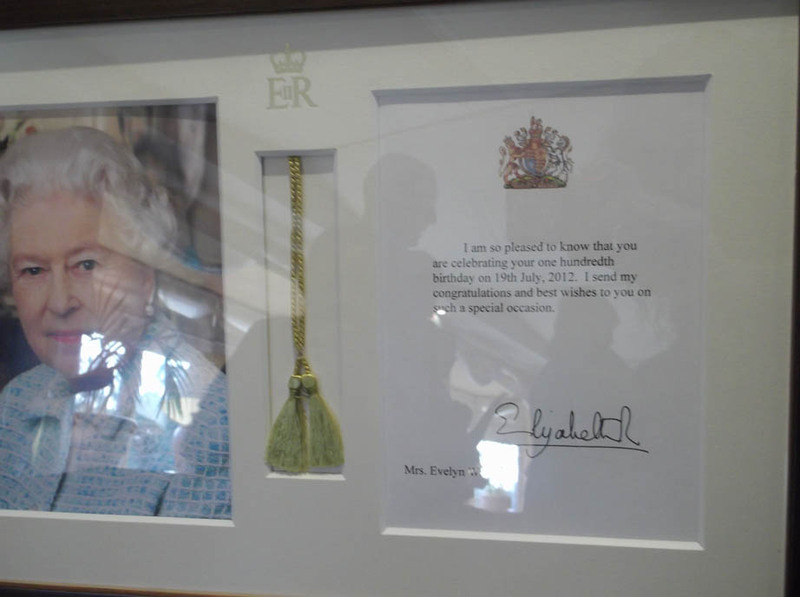 Ellie absolutely loved this, being a history buff and it was amazing to think of all that Nana has lived through. She was born 3 months after the sinking of the Titanic in a small Welsh mining village.Her mother, my Nana Polly, was born in the late 1880s and there were some lovely pics of Nana Polly as a young girl in Edwardian dress and Nana as a baby in smocks sitting on her mother’s knee. 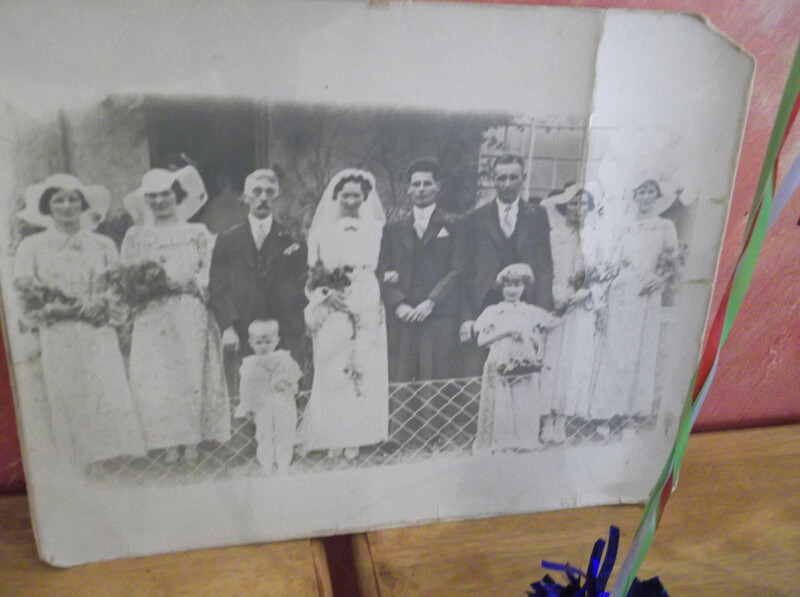 She has lived through two World Wars, getting married at the start of the Second World War and had two babies during that war, my Mum and Auntie.This is her wedding picture. 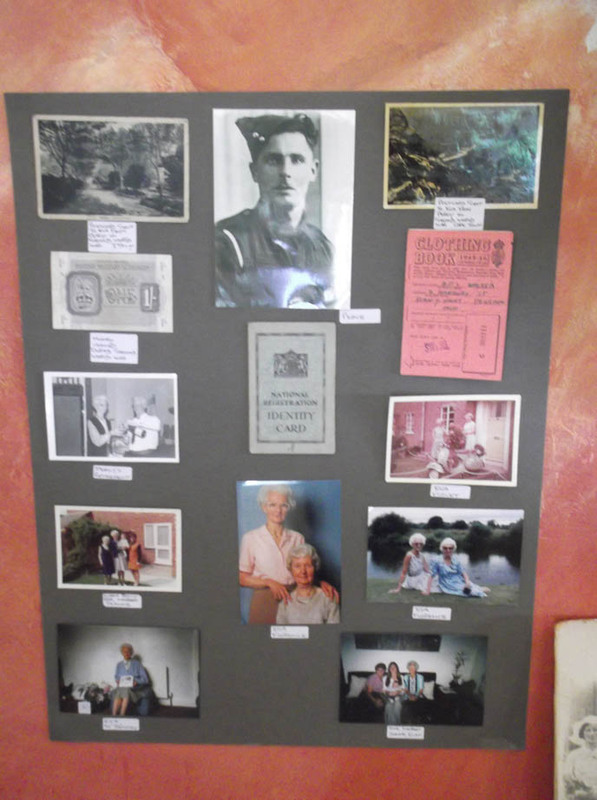 My grandfather, Arthur Percival George (who you can see looking very like Eroll Flynn in one of the pics at the top of this poster below) served in North Africa during the war. On this poster are also her ration books and ID card. Grandad died 28 years ago after a long illness caused by his time as a miner. I have been reading some very good books recently by Maureen Lee set in wartime Liverpool and it really makes you think about life for Nana and her friends during those times. Have also just read an amazing book called White Dove by Rosie Thomas , a brilliant love story about family history set between the wars. They were a very adventurous couple – early pioneers of travel abroad (must be where I get it from), going to Spain twice a year from the late 1950s even though they were a very ordinary couple, he a factory worker and she a housewife. They never owned a car and I remember my Grandad cycling to work every day in his blue overalls. 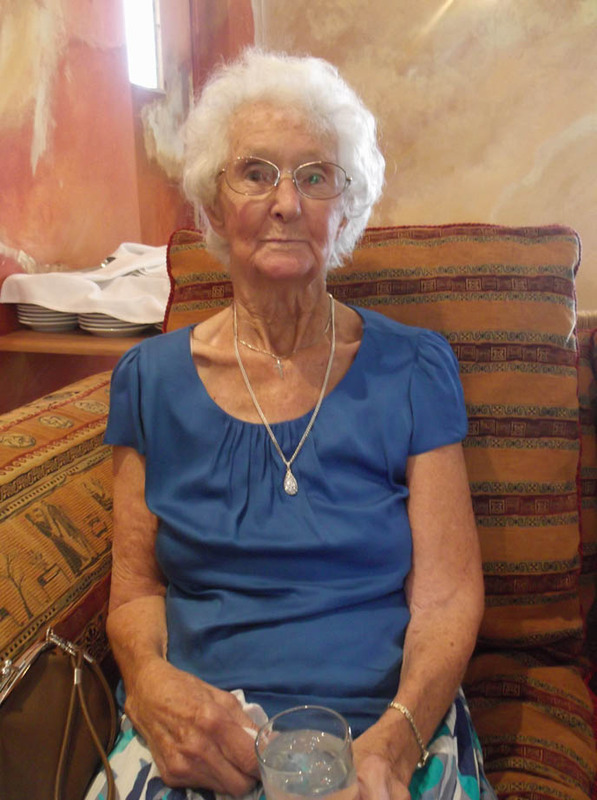 She has 5 grandchildren and 8 great-grandchildren , ranging in ages from 21 (Ellie) to 1 month old (Alice Evelyn my cousin’s daughter) and who knows may even see her great-great grandchildren. It is so amazing to think of all the things that our parents and grandparents have seen change and to wonder what life will be like for us in 25 or 50 years.